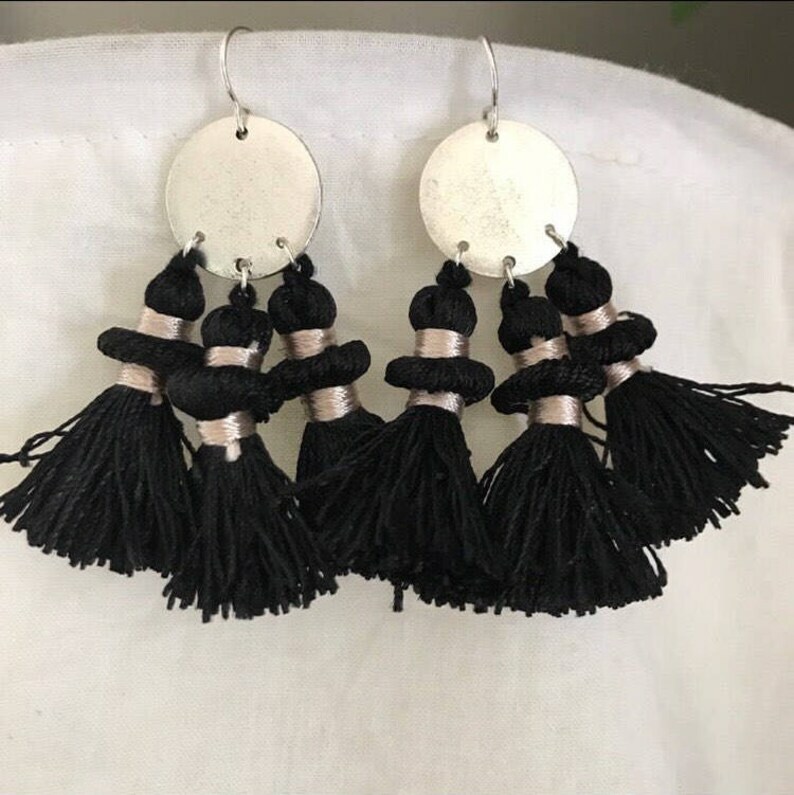 Sterling Silver plated circle medallion with three silk tassels. Hand-formed silver filled ear wire. Perfect of the moment summer accessory to finish off every outfit.